Overview: This year-long support program for first-year superintendents will provide a variety of learning opportunities, while also providing a network to enhance your performance as a district leader. Invoices for any of these components will not be sent until after July 1, 2019. The MASA First-Year Superintendent Support Program consists of three major components: MASA . 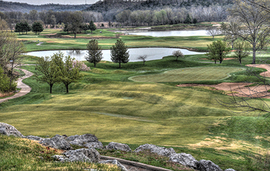 . .
MASA Masters Golf Tournament, June 3 The MASA Masters Golf Tournament will be held June 3, 2019, at the Osage National Golf Course - Lake Ozark, Missouri. Four-Person Scramble Entry Fee - $70/Person Open to All Active and Emeritus MASA Members Sponsored by Lawrence E. Smith MASA MEMBERS REGISTRATION FORM . 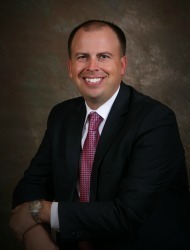 . .
Springfield Superintendent Honored By School Administrators Association The Missouri Association of School Administrators (MASA) has selected Dr. John Jungmann, Superintendent of the Springfield Public Schools, as the recipient of the annual Robert L. Pearce Award for 2019. A committee of his peers selected Jungmann. Each of the eight MASA districts nominated a superintendent for the . . .
2019-2020 Aspiring Superintendent Cohort Quality leadership is essential for school districts to succeed. One of MASA’s objectives is to seek out educational leaders who have the qualities needed to guide school districts to greater levels of success. The Aspiring Superintendent cohort is designed to provide a wide variety of in-depth learning opportunities to help prepare leaders to become viable . . .